Our first shipment sold-out fast...Pre-Order to guarantee your delivery with our next shipment expected in Mid-May. 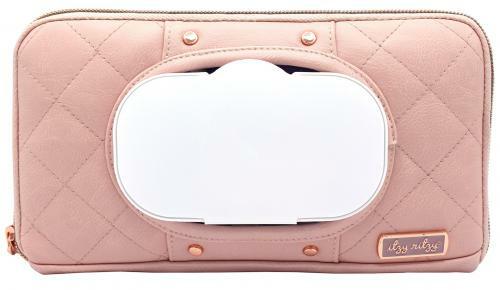 This Itzy Ritzy Wipes Case is multifunctional & convertible that clips to your car visor or back seat pocket and be carried as a clutch without the removable visor clips. It also fits perfectly in a diaper bag. It comfortably fits travel size wipes packs and can accommodate mid-size wipes packs of up to 64 wipes. 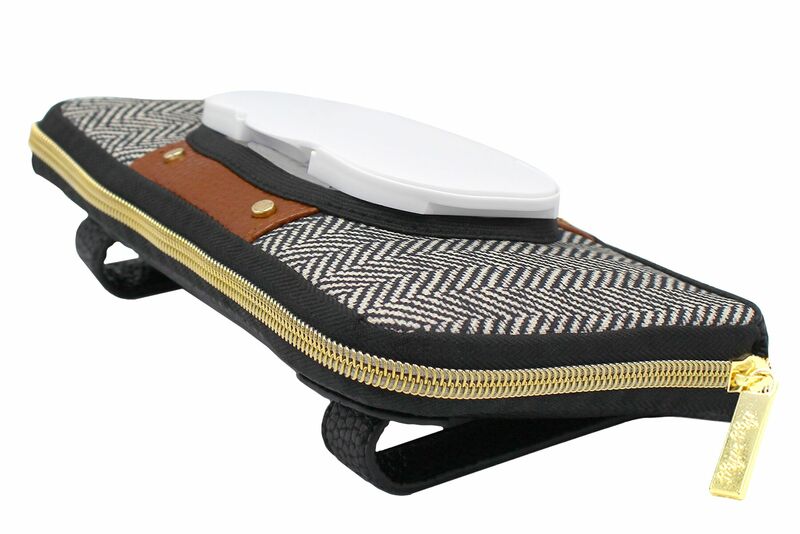 It has an opening to fit most shapes and sizes of wipe dispensers and secures wipes in the case with a durable zipper. Disposable wipes pack in photo not included. Our first shipment sold-out fast...Pre-Order to guarantee your delivery with our next shipment expected in Mid-May. 9 in. x 5 in. x 3 in.